In almost every fridge there are common items; the dairy, the veggies, the fruits, the meats, and there are a lot of sauces, jelly’s and always a couple bottles of salad dressings which are in the doors usually, those items are overloaded with all kinds of fake food ingredients. Vegetable oil, water, egg yolk, salt, sugar, cultured nonfat buttermilk, natural flavors, spices, dried garlic, dried onion, vinegar, phosphoric acid, xanthan gum, modified food starch, monosodium glutamate, artificial flavors, disodium phosphate, sorbic acid and calcium disodium EDTA as preservatives, disodium inosinate, disodium gaunylate. Okay, what’s the point of putting 24 ingredients of mostly chemicals and bad fats on your salad, if you are eating a salad to be healthy? Most salad dressings are made with rancid oils (like vegetable & canola oil) that cause inflammation and damage to your cells, all 70 trillion of them. However, unlike buying “organic” fruits or veggies, processed foods like salad dressings are not always in the clear when buying with the natural or organic label, the first ingredient is likely vegetable oil as well. I have complied a list of 10 salad dressings that are very simple to make, you will probably have many of the ingredients on hand. 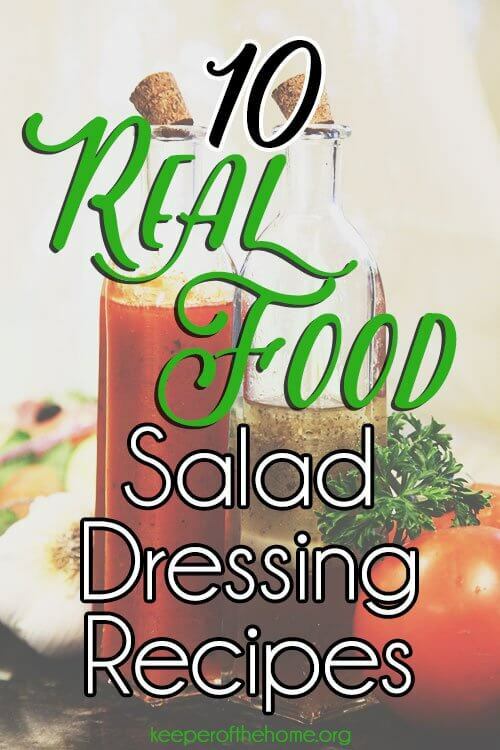 By making your own salad dressings you will get to control the ingredients and now you are serving your family something healthy. I hope you are encouraged by this list and you are able to start making your own salad dressings! Get creative and make up your own concoction! Dressings keep up to 2-3 weeks in the refrigerator. What is your favorite salad dressing? Do you make your own? The only recipe I can access is the Raspberry Vinaigrette. The other recipes are links that take you to day2dayjoys.com where she has a link back to your site. It’s a vicious circle 🙂 Wasn’t sure if you were aware so I just thought I’d let you know. I’m not sure if there was a mistake and Rachel has fixed the links, but I just went through and tried them and they are all working for me. Maybe try again? Sorry about that! Jessica, there must have been a glitch, they all are working, hope it’s working your you! Blessings! I’m not sure, Jen. I just went and double checked the post, and all 9 of the recipe links are coming up fine for me. Are you viewing the post through something other than a regular computer/laptop? Are you viewing the webpage directly or through your email? Hope they work for you Jen, have you checked again? Great post! Thanks so much. How long do the dressings stay good in the refrigerator generally? Melissa, thank you for checking this post out! Hope it is helpful! The dressinings are good for about 2-3 weeks, if kept in the refriderator directly after use. Let me know now yours turn out! Yay! Thanks for all these recipes! Just want you to know: the hyperlink for the ranch dressing just takes me to the day2day Joys homepage. A good homemade ranch is the one I’m most eager to have! My old recipe hasn’t been cutting it for me lately. Thank you so much for letting me know Kathleen, I fixed it… goes to the recipe now! This ranch is GREAT and yummy! We’ve been making our own dressings for a couple of years now. It’s so fun… when friends come over with their children (children who “don’t eat vegetables”) the children gobble up salads with delicious homemade dressing on it!!! Pour a delicious dressing on it and they can get just about anything down! lol! Lately, I’ve been thinking about making a huge batch of dressing and canning it so that it can sit on the pantry shelf and be ready to go when I am. Do you think homemade salad dressing would can well? AlinaJoy, I am not the person to ask about canning, lol! Maybe one of the other readers or Stephanie can help you out??? If that would work, that would be a great idea, I would be a little uneasy about canning with a dairy but not for sure…. sorry no help lol. My kids love salads and always get excited when their friends do too! I have a couple of crock pot recipes that call for dressing to be poured over meat. Do you think these would hold up to that sort of cooking? Thanks! Sara K, Thanks for commenting! I do not see why not, please let us know how it goes! Thanks for the list. I plan on making the ranch dressing for my husband. Sarah Jane, how did your hubby like it? This is so great! We eat A LOT of salad (especially in the summer), and I always cringe at the prices I pay for “healthier” dressings. And, I already have all the basic ingredients in my refrigerator/pantry! Thank you for an excellent post. Tiana, I hope you love the recipes you try! Perfect timing! Just thinking I wanted a list of dressings to print out and put in our recipe binder… and here it is. 🙂 Not normally a commenter (hard to do when a toddler is trying to pull the keys off the keyboard as I type… ha), but I have appreciated your blog. Thanks. K, glad this was timely for you! Hope the recipes work for ya! Once you make your own, you can never go back to using bottled salad dressing. It tastes like nasty, spoiled chemicals. Thanks for promoting real foods! You are SOOOO right! I feel that way about coffee creamers I used to use several years ago lol! Thanks Rachel, I have been needing this all in one place recently. Sara, glad you have a resource now! How’s life with 3 kids? Great post!!! thanks soooooo much. Carra, I hope this is useful for you and thanks for sharing your giveaway! Thanks so much for sharing this! We’re headed on the Real Foods path and this will definitely help – just “pinned” it! Diane, thank you for checking out this post.. I know your journey will be simplified with many posts here at Keeper of the Home, Stephanie has a great team here to help ya on your way! Thanks for pinning… I just got set up on Pinterest last week… uh oh! lol! Thanks for the post! 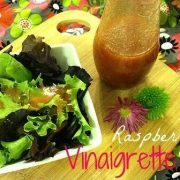 Looking forward to trying the raspberry vinaigrette. Could you clarify if it’s 1/4 tsp of onion powder and garlic powder each, or combined? Thanks! Yes, 1/4 tsp of each! Hope you like it! My favorite is my own creation called “toasted sesame honey dijon” its the basic honey dining dressing recipe with toasted sesame blended into honey dijon dressing. Gives it a nutty flavor and is amazing with fresh spinach. Thanks for sharing these ideas! I have tried some of your salad dressings, and i must say they are a huge hit in my household! 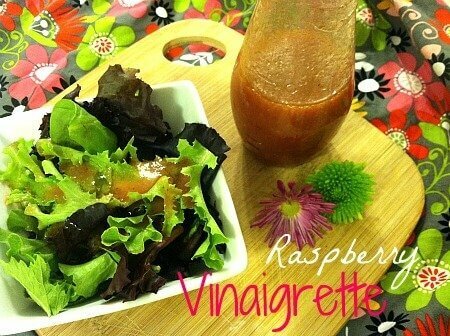 The raspberry vinaigrette is our favorite! I learned a lot in reading this blog, and have officially said good-bye to purchasing dressings. Along with your blog, you can check out my blog that talks about how to make the perfect salad! I’m having trouble with the links for recipes 1-9 as well. 🙁 hope you can fix it because i’d love to see these recipes!